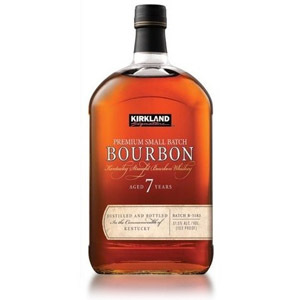 Of the big bourbon brands, I’ve said before that Knob Creek with its good price point and nice balance of classic bourbon flavors with a little extra fruit and citrus and an actual age statement has made it a regular in my drinks cabinet. If I’m going to make an Old Fashioned or just sip some bourbon with or without ice without thinking too hard about what I’m doing, I’m likely to reach for the Knob Creek. In particular, I’m a fan of the Small Batch. This is slightly ironic considering that I loathe the standard Jim Beam, which is owned by the same company and produced at the same distillery from the same low-rye mash bill (77% corn, 13% rye, 10% malted barley). For what it’s worth, Booker’s and Baker’s are also made by Beam from this same mash bill. I like to try different bottlings from a range when possible, to get different perspectives on a brand/recipe, so when my brother-in-law brought around a bottle of the 120 proof (!) 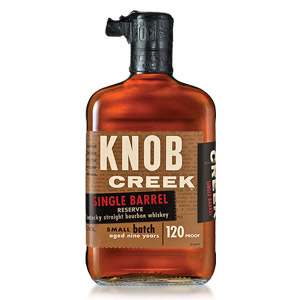 Knob single barrel, I eagerly siphoned some to review. In my haste I neglected to jot down the barrel number. 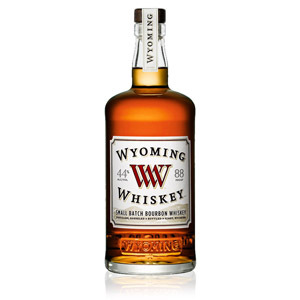 Keep in mind that as a single-barrel release, these are likely to vary in quality and character significantly between barrels, and your bottle might be worlds apart from the one I reviewed below. Nose: Heavily oaky notes of resin, wood stain, and furniture polish. Dark, highly caramelized sugars (burnt caramel), and a deep cherry syrup note, like the liquid/sludge in a jar of real maraschino cherries. Orange peel rounds out the profile. After a rest in the glass, the profile becomes sweeter and rounder, with a vanilla buttercream frosting element. Palate: Medium body, almost syrupy. Intense unholy tongue burn… ouch… no really my tongue is on fire! 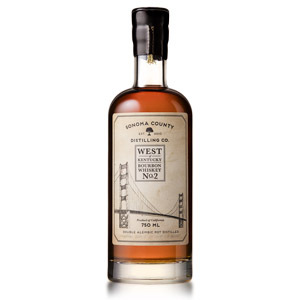 After feeling returns to the extremities and the sweat recedes, the flavors largely mirror the notes from the aroma: cherry, burnt caramel, oak furniture polish. I don’t think I have the literary talent to describe this, but if I were to lick an antique wooden desk so hard that the finish came off, I believe it would taste something like this. Having never done so, I can only speculate. Finish: Medium-short. A nice orange oil note persists after swallowing. Very little bitterness or tannin despite all the oak. Some charcoal flavors remain as it fades. With Water: Several drops of water release a vegetal/grassy note in the aroma, without substantially decreasing the tongue burn. Ouch again. There may be a bit more nuttiness on the finish (hazelnuts?). Water is optional here. Overall: First of all, at 60% ABV this is the kind of thing that can strip paint. I can only imagine the number of taste bud cells that sacrificed themselves to the cause of reviewing this whiskey. 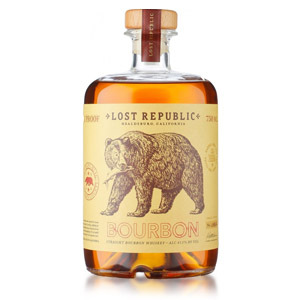 Severely woody, with deeply oaky notes and a heavy barrage of burned sugar notes, this appeals to a very specific bourbon consumer. If you don’t care about fruity notes, you aren’t interested in the interplay of spice notes with delicate oak-derived sugars, and you really just want something you could fill a kerosene lamp with… this stuff will fit the bill. Otherwise, it’s a little one-dimensional. For my money, I’d rather have the Knob Creek Small Batch 9 year and save $10. Acquired: Sample from a friend's bottle. Thanks Louis! The small batch no longer has an age statement. I still see bottles with the age statement floating around, but they’re becoming rarer. Thanks for the note, that’s good to know. The store pick barrel selections of Knob Creek Single Barrel that I have bought have been exceptional, and most are actually 12 years old or older. The standard 9 year single barrel selections are not as special and usually cost more in most stores. If you get a chance to try a store pick from a store that has a reputation of picking great barrels, you should give it another go. I’ll be picking up several bottles of another store pick that just came in at over 13 years old. The bottle will still have the 9 year age statement, but the juice inside is 13+ years old. According to the store that picked it, it’s as good or better than their 12+ year pick last year that I bought a case of. I got lucky and picked up a bottle of this bad boy for $34 (relative to the $28-$30 9yr small batch). It was a huge hit on the guys weekend. We lined it up against cask strength Booker’s and the consensus was it was much more flavorful and vastly smoother in comparison. But between just us SN’s, the 120 doesn’t perform materially different from the 9yr small batch expression. With that point acknowledged, there’s something to be said about standing around with the guys drinking 120 proof bourbon and trying your darndest not to cringe when your tongue feels like you’ve poured habanero sauce all over it….priceless. that’s surprising, did you taste from a freshly opened bottle? admittedly, I drink barrel proof bourbon very frequently but did not find these to be overwhelmingly hot. 60% is not particularly high for bourbon. Really? Wow, geez no kidding? Were you eating ice cream before you tried this stuff? No. I always taste on a clean palate. Why? Without water I found this ran a little hot, but with water it killed the burn for me. Understanding everyone is different so take that for what it is. I also didn’t pick up the vegetal notes, but itstead it became a little more fruity and sugary. This one costs $58 here in Ontario, Canada and I found it very “meh”. Not bad at all, but not mind-blowing. I prefer Four Roses Single Barrel ($47) to this one. 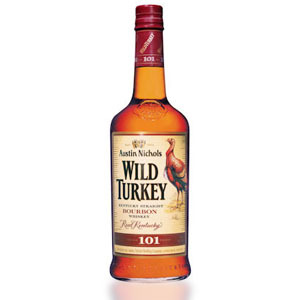 I even found Wild Turkey 101 ($37) far more complex than KC Single Barrel.